The leader of the Islamic Movement in Nigeria (IMN) also known as Shiites, Ibrahim El-Zakzaky, whose health conditions reportedly worsened in recent times, have been rumoured dead in detention. An Islamic leader in the custody of Nigerian authorities, Ibrahim Yaqoub El Zakzaky, might have died. The nation’s capital, Abuja, was tense for the most part of yesterday, while military armoured tanks and heavily armed policemen patrolled the streets of Kaduna in a show of force. A meeting of a paramilitary body in Kaduna, yesterday, was swiftly concluded with members warned to stay indoors and not travel back to their states for fear of a possible backlash following the rumoured death. Followers of the embattled cleric have for months called for his release. The authorities, however, appeared to have had other reasons for holding him, despite court orders granting him bail. A call to the embassy of a notable Arab country with presumed links to the cleric did not yield any result, as the cultural envoy was said to have travelled overseas and was not in a position to comment. 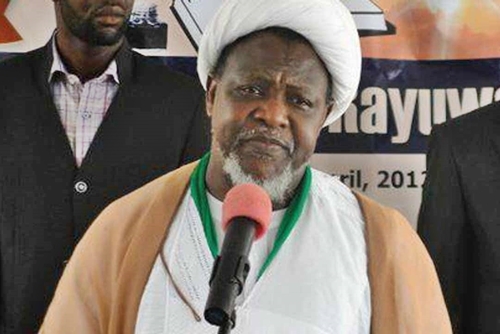 Meanwhile, the Department of State Service (DSS) have insisted that the health condition of the leader of the Islamic Movement in Nigeria (IMN) also known as Shiites, remains stable and good. IMN on Wednesday staged a protest in Abuja.